Not so long ago I thought I'd never be able to rock the maxi dress trend because of my petite stature. I was worried that as a 5'0 fashionista this is one look I wouldn't be able to try! Thankfully, I just had to choose the right silhouette. This hi-low hem is perfect because it helps elongate my figure and also shows off my fun pink high heels. It also has a sort of empire waist, making it even more flattering. So, my fellow petite ladies, don't give up on maxi dresses and skirts, just try on a few different styles to find one that works best for you. The particular maxi dress I'm rocking is the Tulip Hem Maxi Dress from a fabulous, newly launched store, Perch Boutique- I can tell it's going to be on heavy rotation this summer. I'm even wearing it as my LBD for a bachelorette party tonight! 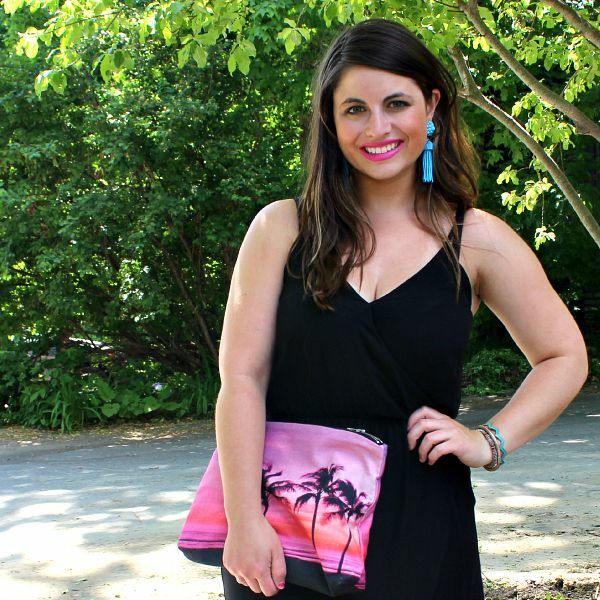 As always I love bright colors, so I love pairing summery accessories with the black maxi dress for a fun pop! 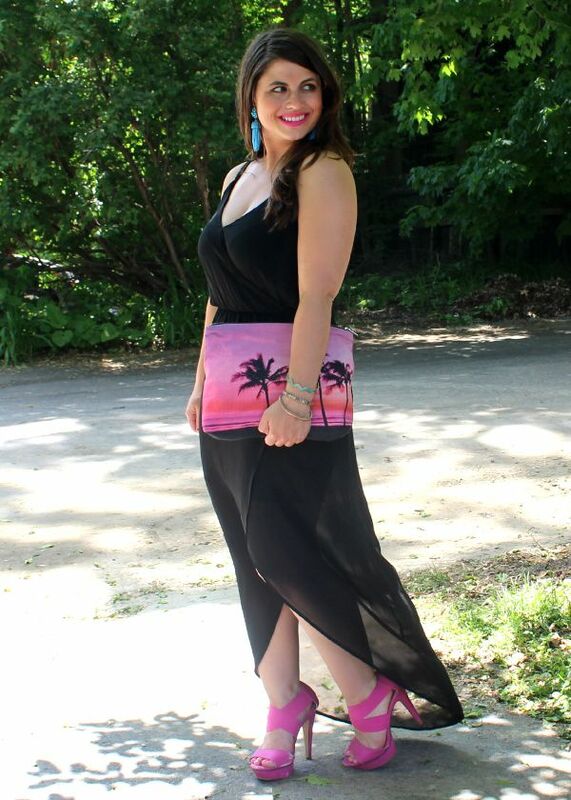 The sunset clutch & turquoise tassel earrings make such a statement that they work well with this easy breezy maxi. I'm still a bit wary of maxi dresses. Your dress is amazing. I love the asymmetrical hemline. It adds a great bit of personality to the look. Love this look on you! I've come across some gorgeous maxi dresses, but being 4'11 I haven't found one that looks right on me. Thanks for the inspiration!